When I asked all my friends about the best things Ecuador has to offer, we unanimously agree that one of the most spectacular not-to-be-missed destinations in Ecuador is, without doubt, the incredibly beautiful and mystical Galapagos Islands. Straddling latitude zero, 1000km west from the mainland, this archipelago is home to an amazing array of wildlife; numerous species you will never see anywhere else in the world abound on these enchanted islands, unusual and fascinating creatures to someone who has never visited, and yet often quite common to those who know the islands well. Landscapes – or moonscapes – of shimmering black lava and hardy flora forcing its way through the rock to thrive in such an arid environment where rainfall is extremely scarce in many places is a miracle so fantastic to behold that it’s worth every penny to come and discover the secrets of Galapagos for yourself. 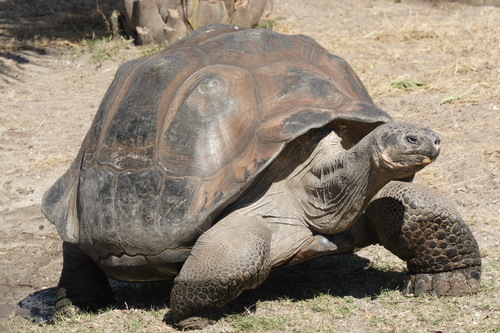 Giant Tortoises (Chelonoidis nigra) are the longest-living vertebrates on earth. The average life-span is over 100 years, and some live to over 170 years. There are four inhabited islands: San Cristobal, Santa Cruz, Isabela and Floreana, with an international airport on Baltra, near the abandoned WWII American military base. While the Galapageño capitol of Puerto Baquerizo Moreno is on San Cristobal, which also has an airport, Puerto Ayora on Santa Cruz is the most populated settlement, with its infrastructure firmly in place to serve the requirements of around 175,000 visitors per year to the World Heritage National Park and Marine Reserve. Whether tourists participate in land-based or water-based activities, Galapagos; its phenomenal wildlife, unique vegetation and breath-taking landscapes, are bound to make a life-long impression on anyone fortunate enough to experience the magic. 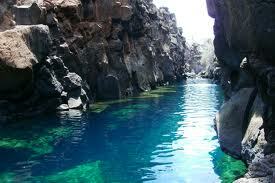 Las Grietas, a fissure and a swimming hole where dare-devils leap in from the cliffs. Regardless of age, there are activities to suit every level of fitness and include a vast range of interests, from a gentle 2.5km walk to Tortuga Bay near Puerto Ayora, to a strenuous hike up the challenging slopes of Sierra Negra on Isabela to see the massive crater, which is 11km in diameter, from stretching out in a bikini under the hot equatorial sun while your launch cruises leisurely from island to island on the azure Pacific Ocean, to rolling back off the launch in your scuba gear to experience the fascinating world of Galapagos marine life 20 meters below the surface off North Seymour, from observing the Magnificent Frigate Birds bathing in Lagoon El Junco on San Cristobal, the only fresh water lake in the archipelago, to leaving your postcards in Post Office Bay on Floreana and hoping they’ll arrive at their destination at some point in the future, and once you’ve done all that, there is still so much more to do… like visit the Giant Tortoise breeding center at the Charles Darwin Research station, or just lay on a towel on a pristine beach and relax. 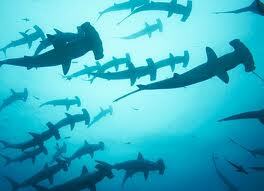 Scuba Divers are thrilled to find large schools of Hammerhead sharks at Gordon Rocks. A trip to Galapagos is, for many, a once in a lifetime experience. Admittedly, it’s a little costly to get there. Between airfares, national park fees, and the high cost of cruises and many other vacation activities, you almost need a second mortgage just to put your feet on the enchanted islands. And because most of the food is shipped 1000km, it also costs more than on the mainland. Even so, if you spend every penny you’ve saved for this trip, just to make it one single time, you will spend the rest of your life enjoying the wonderful memories of a natural phenomena not to be found anywhere else on the planet. 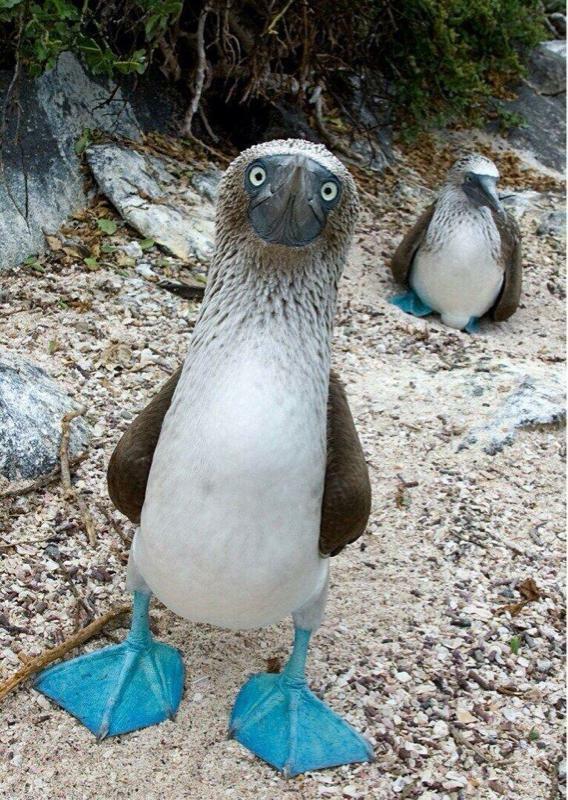 Galapagos is worth every penny. There are also a number of land-based and water activities that don’t cost a thing. Depending on which island you are on and, if you have the time and resources, it’s highly recommended to go island-hopping on at least two islands in the Galapagos, and you can easily find out which activities are free. Whether you’ve lived in Ecuador for many years, or have just passed through as a visitor, the magic spell of Galapagos remains with you forever. This entry was posted in Birds, Ecuador, Fauna, Flora, Food, Galapagos Cruise, Galapagos Islands, Marinelife, Scuba Diving, Surfing, Travel, Volcanoes, Watersports, Wildlife and tagged Beach, blue feet, boobies, Cruise, Diving, Ecuador, Exotic, fishing, Food, Fruit, Galapagos, Galapagos Cruise, Galapagos Islands, Galapagos Tour, Hiking, Lava, seabirds, Snorkeling, Tour, Traditional Cuisine, wildlife. Bookmark the permalink.